Golden apple snail (GAS, Pomacea sp.) is native to South America and was introduced to Asia, first in Taiwan in 1979-1980. GAS was introduced to Cambodia in 1992 by refugees returning from Cambodia-Thailand camps. 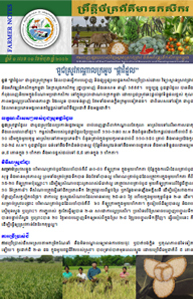 In 1995, GAS had been observed being raised and sold in Phnom Penh and presented in at least nine provinces: Kampong Chhnang, Kampong Cham, Siem Reap, Pursat, Kampong Speu, Takeo, Prey Veng and Svay Rieng. 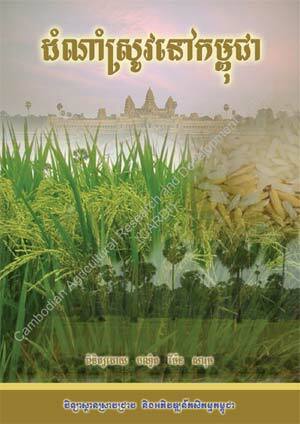 Recently, GASs are spreading in the rice fields in almost all provinces and municipalities in Cambodia. 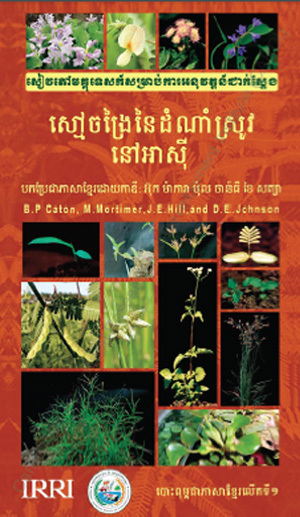 Although in 1995, the Cambodia-IRRI-Australia Project (CAIP) alerted that GAS would be a new destructive rice pest in Cambodia, but since 1992 until 2009, GAS population in the rice fields has not caused any significant or remarkable rice plant losses. 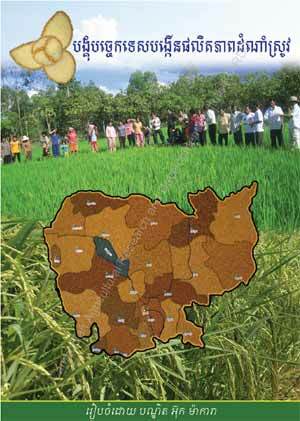 Since 2010, the situation has been changed with many farmers reported and remarkably observed rice young plants losses due to damage by GAS. 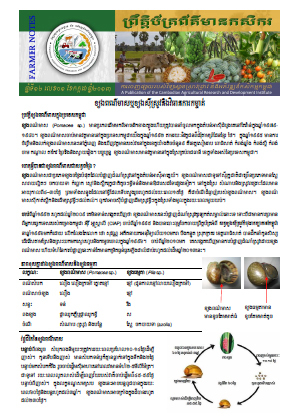 To overcome this problem and after confirmed experimental results on effective Mulucide 6GB, CARDI is publishing a Farmer Notes of golden apple snail and its management with emphasizes on the differences between GAS and Cambodian native snail (Pila sp. 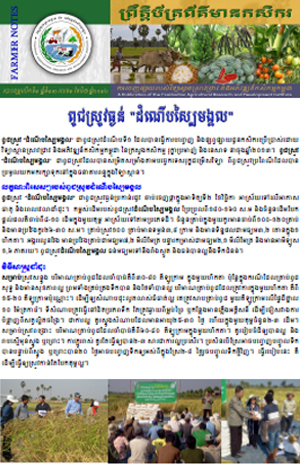 ), life cycle of GAS, breeding status and management methods in Khmer for extension workers, related stakeholders and especially farmers to combat against GAS.